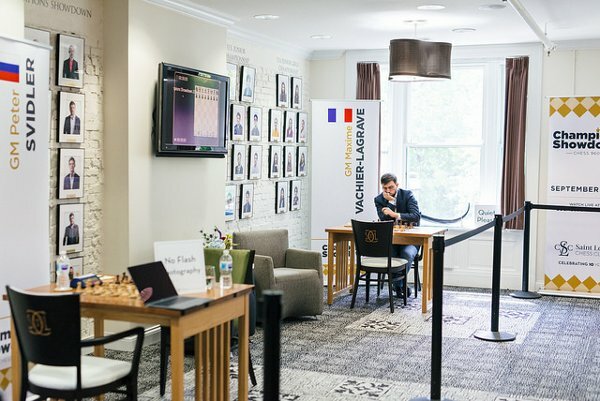 Every year in September, the Saint-Louis Chess Club organizes a « Champions Showdown ». 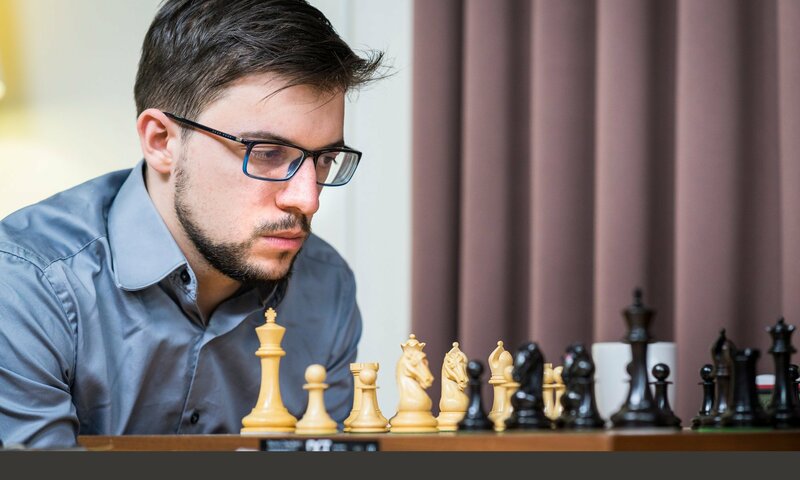 For the 2018 edition, they had put together a very special program, with five parallel rapid and blitz matches of Chess 960 (the arrangement of pieces on the players’ first ranks is selected randomly). 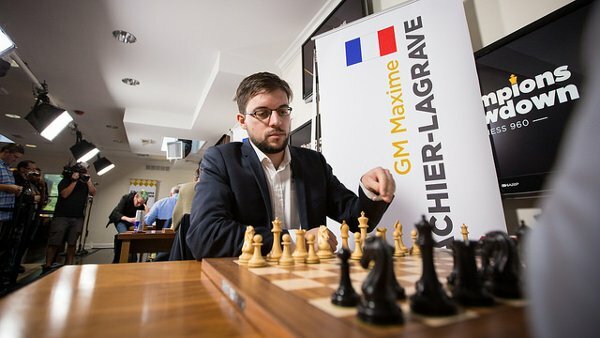 Scheduled 20-game duels were Kasparov-Topalov, Nakamura-Svidler, Aronian-Dominguez, Giri-So and Mvl-Shankland. A grand premiere for me! Each of the four playing days began with the drawing of a new starting position, and even of two distinct positions the last day, only dedicated to blitz. The idea of « confining » players, without computer access, one hour before the games, was very interesting. In this friendly atmosphere, allowing the players to get acquainted with the position and analyse together, generally by pairs, was worthwhile. Of course, in a more competitive context, it would certainly be necessary to make adjustments. But who set the pieces any which way? (photo Spectrum Studios). In the current case, analysis of a brand new position was clearly adding some spice to our daily routine. First of all, by depriving us of the morning prep burden… But also because we rediscovered the pure analytic work, as it was done by the Ancients, before the computer era! Afterwards, it’s also very enlightening to compare what we have done during the day’s play with the computer’s evaluations. What are the ideas we missed? Which are those that are approved by the machine? 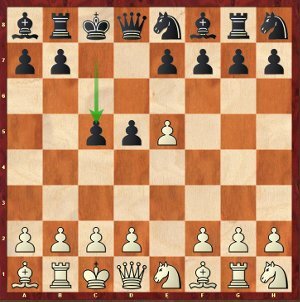 Topalov-Kasparov, Game 12; such a champion as Kasparov can make a mistake on move 2! 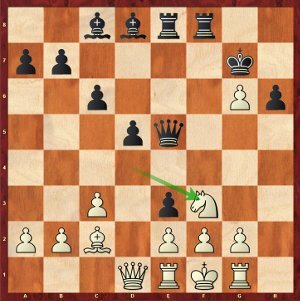 Here, white played 3.b3, but me and Aronian had already found out that the move black just played, 2…c5?, is wrong because of 3.Qh5!. 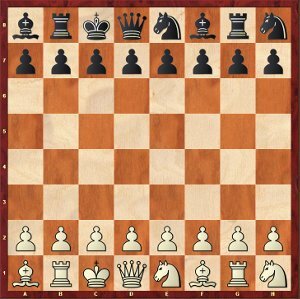 The threat is 4.Qxh7, winning the Rg8; if 3…Ng6 4.Qf5+ and 5.Qxf7; if 3…h6 4.Qf5+ and 5.Qh7 still hits the Rg8. One main interest of the preparation time we were given before the round was obviously to identify some concret lines, as the ones above-mentioned. But even more important was to spot key ideas, to determine a plan of action, and to find the correct timing. 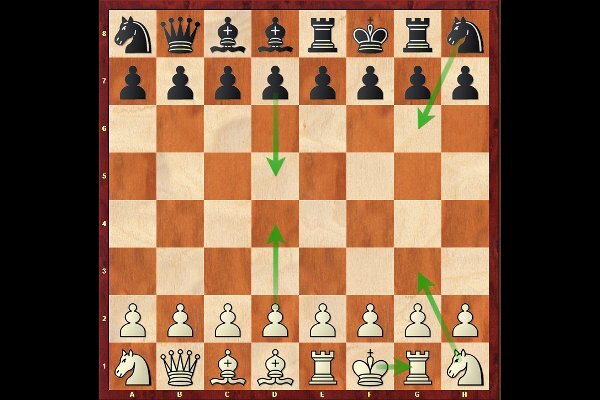 For instance, we tried to identify the way the pieces would be developed, if we were going to castle, and where, what were the typical Rook manoeuvers – btw often on the third rank – and what were the good diagonals for a Bishop which was not already fianchettoed. Inside the St-Louis Chess Club, each player has a large banner bearing his name (photo Spectrum Studios). Regarding my match against Usa reigning champion Sam Shankland, I must say I’m quite satisfied on the whole, with an overall 17.5-8.5 win (including 10.5-3.5 at blitz). However, I was a bit rusty at the beginning, and the first two games turned out to be rather lucky draws. Fortunately, I was cruising in the blitz games. Shankland-Mvl, Game 3; a very aesthetic combination. 16…exf2!! 17.Nxe5 Bh4! and the mating attack is unstoppable: 18.g3 Bh3+ 19.Rg2 Bxg3! 0-1. The second day was by far the less convincing, and I even lost the mini-match on the specific position. On the third day, by an amazing coincidence, we played our games in a starting position Shankland had been practising with a few days earlier! Mvl-Shankland, Games 9-12; a position Shankland already knew! Nevertheless, I think Levon and I did a real good job while preparing this starting position, and despite the knowledge handicap, eveything went smoothly. Therefore, I arrived for the fourth and last day, made up of only eight blitz games, with the match almost already won. A 7-game series of wins concluded the debate. Finally, I won my match with the exact same margin than Aronian against Dominguez. I felt Levon was very impressive in 960, and it was clear he learned from the previous experiences he had in this format. 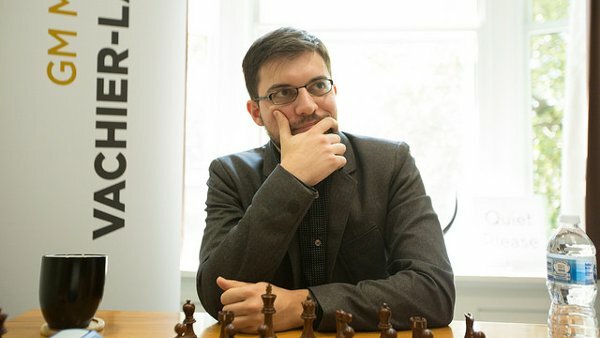 The same for Svidler and Nakamura, by the way, and their match was in my opinion the most interesting of all. Sometimes, you want to be in your bubble… (photo Austin Fuller). As a conclusion, I would say that Chess960 is probably not set to replace classical chess in the foreseeable future. But as I always stated, there is room for all formats and all rythms of play. The more variety, the better for us! I think there’s some kind of consensus around this idea among players. However, I don’t know how fans approach Chess 960. Are they fond of this new format, or do they feel a bit lost? Do they wish the games would return to « normal » positions as fast as possible? For my part, I did my best to keep the positions « resembling nothing » as long as I could! Back to the normal set of pieces for the next event, the Olympiads in Batumi (Georgia), from September 24 to October 5! I will most probably be playing board 1 in the French team. Just to take full benefit of his second trip to the Unites States within a few weeks, Maxime had decided to fly three days earlier, and to enjoy a tourist stop in New York City. Obviously, it would have been a pity not to take advantage of it, and miss the quick ride to the Arthur-Ashe Stadium, where the Tennis US Open was taking place! So, as soon as he landed on the American soil, Maxime rushed to the Stadium, in time to attend the two Men’s semi-finals that were scheduled in a row, Nadal-Del Potro, then Djokovic-Nishikori…. The art of combining business and pleasure!